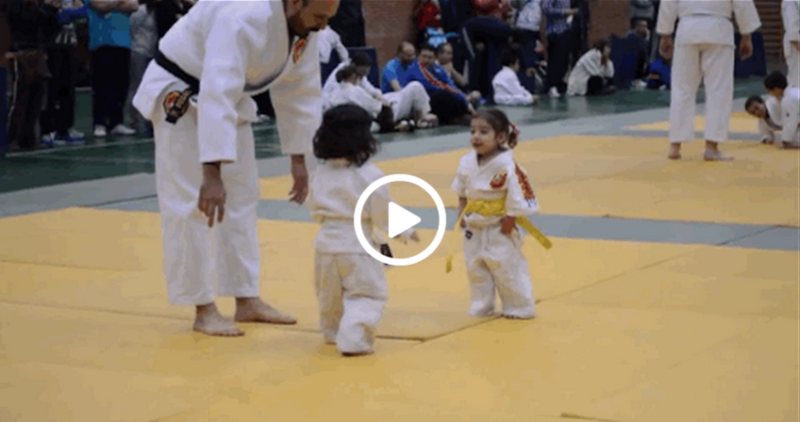 These Little Girls’ First Judo Fight Ends Adorably. The cuteness level in this video is off the charts. It would be a stretch to call this fighting. Aggressive hugging is more like it. For this pair of little tykes at their first judo competition, their determination to compete is obvious. From the vigorous courtesy bows, to the smiles after every point that was awarded, it is clear that these two are having a great time. This video originated with CJ judo, a judo school in Madrid, Spain. Curious cat gets the cardboard box, scares us all!